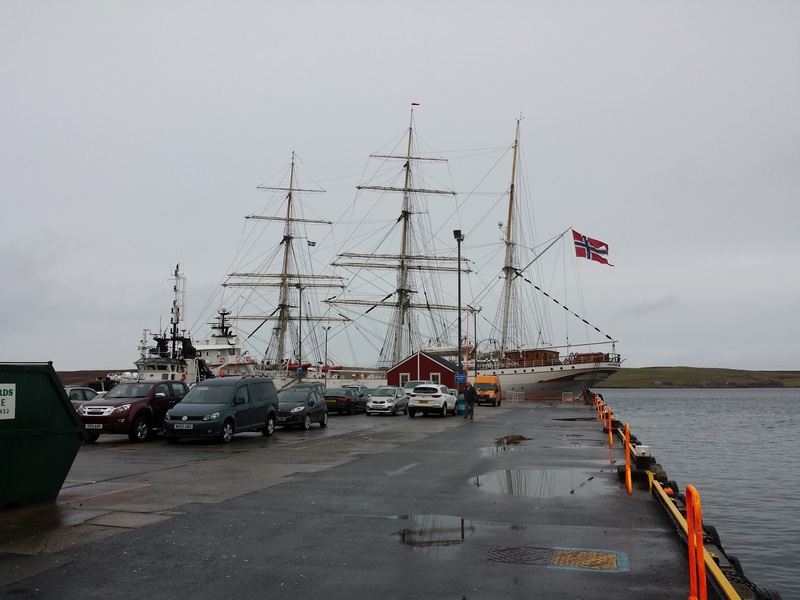 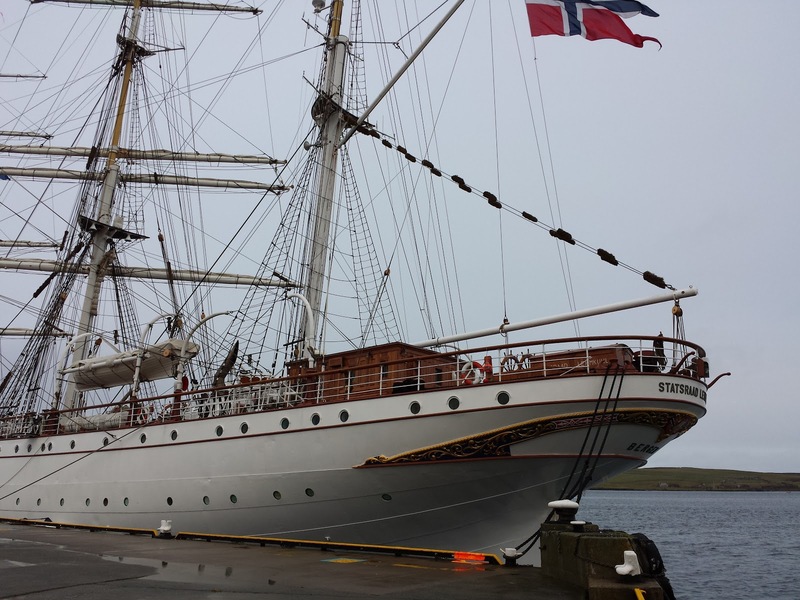 Statsraad Lehmkuh, a 102-year-old Norwegian barque was docked at Lerwick, Shetland. I didn't know the name of the ship or anything about her, but it was clear that it is not just another boat. And also Lerwick was invaded by Norwegian cadets, so I assumed that this should be some kind of training vessel and after short research as it happens my guess was correct.